SELECTORS have made the bold move to drop midcourt star Madi Robinson from the Diamonds' team for next month's Constellation Cup against New Zealand. The selection shock comes as the Diamonds prepare to enter another series without defensive enforcer Sharni Layton, who is not yet ready to return after missing last month's quad series loss due to exhaustion. 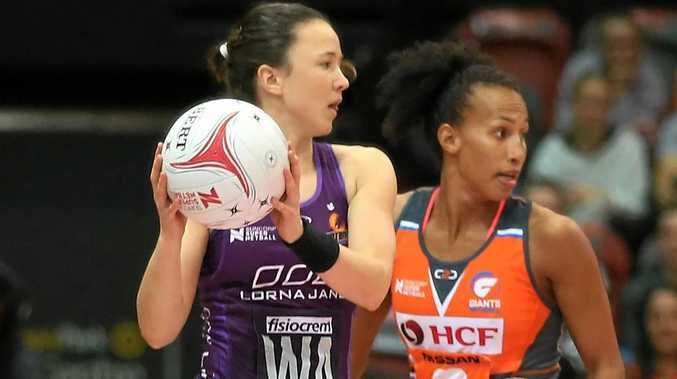 Robinson, one of the Diamonds' vice-captains, has been left out of the team in favour of Vixens' captain Kate Moloney and Queensland Firebirds' Caitlyn Nevins, who come into the team of 13. Nevins made her Diamonds' debut in January this year, while Moloney is yet to debut for the Diamonds after being named in the squad for the first time in June. Diamonds' coach Lisa Alexander said selectors wanted to see more options in the midcourt ahead of the Commonwealth Games, adding Robinson would be working on parts of her game that needed improvement. "With limited test matches prior to the Commonwealth Games, national selectors and I want to see further options through the midcourt, in addition to our two goal attacks already coming in to the team," Alexander said. "As squad members, Caitlyn and Kate have already been training alongside the team to assist in all preparations, and will be ready to play their role for the team. "We will be working with Madi on the areas of her game requiring improvement and she will continue this work at home base. We look forward to seeing her back on court in 2018." Alongside the new-look midcourt, the Diamonds will also be making two pre-arranged changes to their goaling end, with Stephanie Wood and Susan Pettitt coming into the line-up for Tegan Philip and Gretel Tippett. The defensive end remains the same as the recent netball quad series, with Vixens goalkeeper Emily Mannix staying in as Layton's replacement.